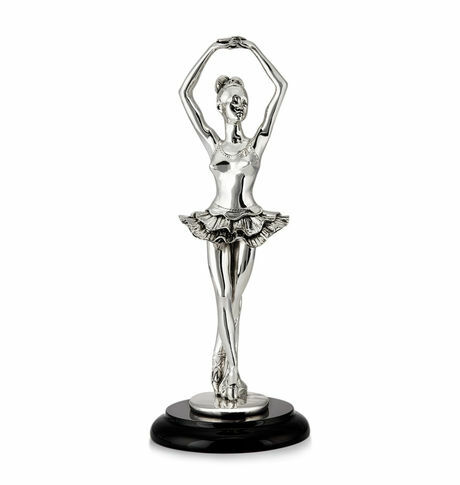 The graceful ballet dancer figurine would look stunning in your living room or office. This beautiful art deco piece has a fluid style with incredible detail. The graceful ballet dancer figurine would look stunning in your living room or office. This beautiful art deco piece has a fluid style with incredible detail. Cancellation and Return Policy: • Exchange allowed post booking • No order cancellation or Refund transaction allowed at the store.